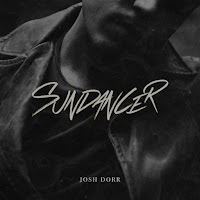 November 10th last year saw the release of American country singer-songwriter Josh Dorr's second EP, Sundancer. Perhaps best described as having a heartland rock style similar to that of Kip Moore, Josh's new EP highlights him as an artist to watch within country music. All the songs included in this release are strong however it is I Need A Highway that really stands out for me. The track is one of the instances on the EP that sees rising star Jillian Jacqueline provide backing vocals and it showcases both Josh and Jillian's voices incredibly well. Josh's confident opening vocal and the soft, subtle production immediately draw you in and the well crafted track takes you on an emotive journey throughout. A stand-out moment within what is a very impressive release, I Need A Highway is easily a song I will be returning to time and time again. Whilst I Need A Highway is the strongest song here, it is arguably Ready Or Not where Josh's storytelling talent really shines. I'd urge everyone to listen closely to the lyrics - and have some tissues handy - of what is, at it's core, a beautifully touching song. The interweaving melodic lines provide a strong backdrop for Josh's heartfelt vocal with the solid drum line sure to leave you tapping your foot along with the immersive production. A song that manages to sound like it's come straight from the page of a diary, Ready Or Not has a perfect balance of parts to mold it into a really impressive song. Opening track Bad Boys offers a rockier side to Josh's vocal (and sees another backing vocal from Jillian Jacqueline). It instantly feels like this will be a very popular addition to a live show with it's driving instrumentalisation, well-blended vocals and distinctly listenable overall sound quality. Undoubtedly a great track to turn up loud and sing along, Bad Boys holds an appealing story and is a great choice to open the EP. I have listened to this EP a number of times now and on every listen I am continuously impressed by Josh's talent. Sundancer is an incredibly well-crafted, cohesive EP that I would urge everyone to listen to. Josh is an artist I will certainly be keeping an eye on, a star in the making! Walker McGuire - "Walker McGuire"